ICICI Prudential is a company renowned for its diverse range of life covers including term plans, endowment plans, ULIPs, retirement plans, etc. Among the range of plans available in the market, term insurance plans are the most common ones as they are the purest form of life insurance coverage. Since the cost of term insurance is relatively cheap, many people opt for this coverage. Similar to most of the top companies in the market, ICICI Prudential has a premium calculator to determine the cost of a policy based on various factors. A premium calculator is an effective tool when it comes to determining the approximate cost of a term insurance plan. Since the cost of a term plan is influenced by various factors like age, income, family medical history, smoking habits, sum assured amount, risk factors, etc., it is likely to differ from one individual to another. In this scenario, it is highly unlikely for a customer to get quotes from multiple companies and wait for the companies to respond. With a premium calculator, customers can determine the premium amount on their own and make their purchase decisions accordingly. Click on ‘term insurance premium calculator’ in the financial tools available on this page. In the resulting page, choose your gender, smoking habit, and date of birth. Once you have entered these details, click on ‘show my quote’ to get the premium quote. If you wish to get more personalised quotes, you may have to enter your basic details including name, phone number, email id, etc. You may also choose add-on covers in this step before proceeding to the payout section. For instance, a 30-year old non-smoker male can get a term cover worth Rs.1 crore for a 30-year policy term by paying Rs.8,300 per year under the iProtect Smart plan. In a similar way, anyone can use the premium calculator by entering their personal details in the premium calculator. 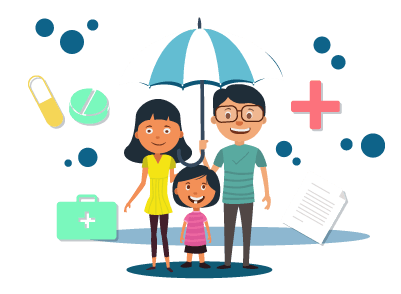 People looking for term insurance policies can compare the products available with different companies with the help of premium calculators. This is helpful in determining the right product and sum assured amount that fit within their budget. Customers can determine the tentative price of a product on their own without even waiting for the insurer to come up with a quote. They can also get personalised quotes by checking out the add-on covers available with these policies. Online premium calculators help customers improve their knowledge about various products available with an insurer. With a premium calculator, customers do not have to go through the trouble of calculating the cost on their own. ICICI Prudential iProtect Smart is one of the top term insurance products available in the market. This plan comes in various options, and customers are free to choose the benefits as per their requirements. The premium calculator available in the ICICI Prudential website can be helpful in determining the price of this product as per one’s individual requirements.